DJ Ethan Stone is one of the most popular club and event DJs around with over 1,000 performances since his start in 2002! He is known for drawing big crowds and for his ability to rock a party. Originally from Santa Cruz, CA, Ethan studied music at Princeton University. He has since toured worldwide and worked with artists including Craig Robinson, Drake, Britney Spears, Flo Rida, Robin Thicke, Jennifer Hudson, Camila and more. From nightclubs to weddings, celebrity and corporate events, Ethan Stone is your perfect musical curator. He skillfully blends and beat matches every song. Drawing from his vast knowledge of music, he intertwines genres that span the demographics of any audience, keeping everybody on their feet and having a great time! And as an MC, his friendly and charismatic presence on the microphone brings that extra energy needed to transform a great night into an unforgettable one. Call now to book DJ Ethan and guarantee the success of your event! Ethan began his DJ career at the age of 15, first performing at school dances and Bar/Bat Mitzvahs. He began studying broadcasting and had a popular show on the local college radio station, KZSC Santa Cruz. By the end of high school he was producing raves and had also begun DJing weddings and corporate events. After high school, Ethan went on to Princeton University were he founded the Princeton Entertainment Agency and served as Productions Director for WPRB Princeton. During the summers Ethan DJed for numerous nightclubs along the Jersey shore and in New York City while working as an intern assisting Stephen Friedman, then president of MTV Networks. 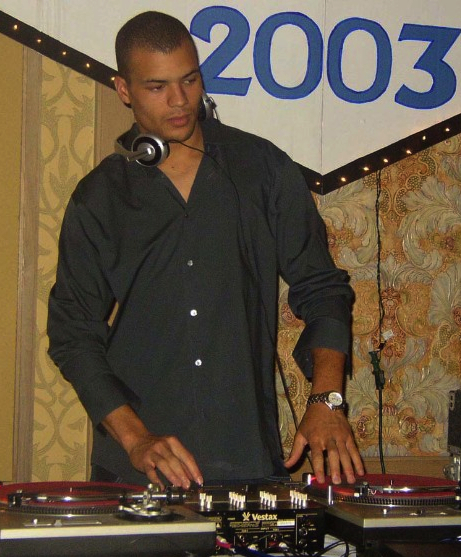 After graduating in 2006, Ethan moved to LA and has been devoted to his DJing career ever since. When he is not behind the decks, Ethan can be found performing on screen as an actor or with his band, Sampson and Stone. • DJ Ethan Stone as your disc jockey and master of ceremonies. • Continuous music – From first note to last- setup & breakdown at no charge. • A state of the art DJ, sound and lighting system. • A free consultation + access to our planning forms. • Free travel, set up and breakdown. For receptions over 185 guests, our Extended Sound System is highly recommended. Stronger amplification and additional speakers will help fill your full reception room with higher quality sound sound. Transform your reception into the ultimate dance party with Premium Uplighting! A sophisticated enhancement at an amazing price- less than $30 per light- what a steal!